Normally I don't give a lot of weight to rumours about upcoming deals, but considering how accurate the RedFlagDeals post has been at predicting EB Games door crashers, I thought I'd entertain the latest pieces of gossip. Going by the most reliable source, RFD user KC108, tomorrow's door crasher is going to be SOCOM: U.S. Navy SEALs Confrontation. No price is given but if true, expect the game to be less than $20. What's more interesting though, is another RFD user by the name of Setz claims to have talked to a friend who works at EB Games and was told that next week we'll see Dead Space (PS3) for $19.89 and Bioshock (360 + PS3) for $9.89. Considering how great some of the past deals have been (e.g. MGS4:LE for $9.89, Prince of Persia $9.89), and that both of these games came out last September for PS3 -- Bioshock for Xbox 360 even earlier -- it wouldn't too far-fetched to see them go on sale. Typically the door crashers for the upcoming week get passed down to EB Games staff on Monday, so hopefully we'll have an update tomorrow. MGS4 was NOT a September release. I would know. I went to the Times Square launch. @ Anonymous above...See the big maple leaf in the logo ? 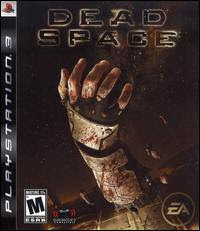 By September I'm referring to Dead Space and Bioshock for PS3. Obviously MGS4 came out in June 2008. I heard Tuesday is gonna be GTA4SE for 19.99!